The latest news from the vehicle world is Volvo XC60. 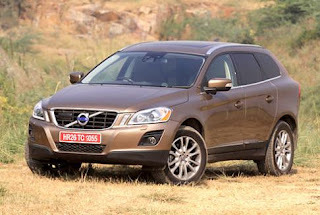 The latest model to enter the Indian market from the stable of Scandinavian automaker Volvo is the XC60 Crossover. 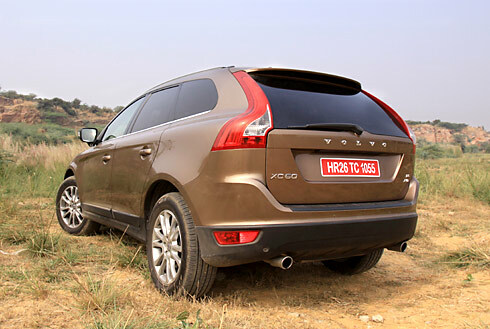 The XC60 is powered by a 2.4 litre 5 cylinder turbo diesel engine that produces a terrific 205bhp at 4000 rpm. This powerhouse on wheels is having a six speed steptronic gearbox! It’s capable of reaching the 100km/h mark in under ten seconds. Coupled with a permanent all wheel drive system and a rather decent ground clearance, this crossover can behave both like a sedan and an offroader. An electronically operated sunroof is and the high end audio system are among the interior attractions. The floating panel is a futuristic design which gives the vehicle an ultramodern touch. The interior offers enough and more space for all 5 passengers as well. Build quality is impeccable and so is the fit and finish. 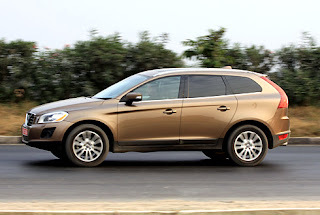 The XC60 definitely put forward a tough fight to the BMW X3 and Audi Q5. Priced at Rs. 39.5 Lakhs (Ex-showroom, Delhi) and Rs. 41.41 lakhs (Ex-Showroom, Mumbai, incl. Octroi), the Volvo XC60 is a brilliant package that will be hard to ignore. Surely this is the Scandinavian reply and challenge to the age old pride of Germans!